Joyce started her career in media sales at The Independent and has since worked in client facing roles for over 10 years and specifically in the diversity and inclusion arena for over 3 years. Her career has spanned working in global publishing companies such as Incisive Media and UBM as well as working with clients across a wide range of industry sectors such as Banking & Financial Services, Ecommerce, Technology, Legal, Professional Services, Insurance, etc . 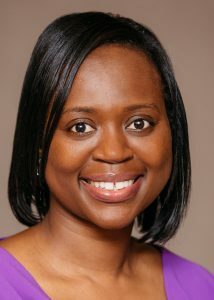 Joyce enjoys developing new business relationships with senior Diversity & Inclusion decision makers and influencers. She is customer centric and very passionate about creating bespoke solutions for partners which enables them to build a sustainable pipeline of female talent for the future. To get in touch with Joyce.